Here at the Motorhome Travel Agency we spend a lot of time researching countries, places of interest, beauty spots, campsites, activities, sporting events and scenic routes to make your luxury motorhomes holiday the best it could possibly be. Making your holiday special is also a lot to do with the way you travel. Also, where you stay which is why we have also put a lot of thought into our vehicles. We’ve chosen to use luxury Dethleffs motorhomes. That are renowned for their build quality and exceptionally built inside and out. 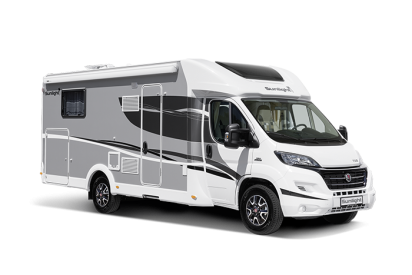 Carrying up to four people, the T68 motorhome has a large bathroom and kitchen and a comfortable lounge for relaxing in. It offers the ideal layout for a family that would like to have separate beds for the children, but prefer not to have bunks. It also has the benefit of a large garage, which is big enough to store a motorbike. The T68 has been maximised for space with the convenience of a bed that pulls down to provide two sleeping berths, which takes up no space at all when it is not lowered. The T68 also provides two sleeping berths at the back of the van in the form of two single beds that can be made into one large double bed and another added bonus is that the beds do not need to be made up. Please see the 360 degree tour of the T68 inside. Even more spacious is the A70 motorhome, which is a six-berth vehicle. It’s the perfect choice for those who want that extra bit of space and storage! With a roomy kitchen, well-sized lounge, big bathroom, a double bed at the rear, another large bed above the cab. And, finally, a side dinette which can be made up in to a double bed. The A70 has It also has a very large garage for sports and leisure equipment equipment or motorbike. Take a look at the 360 degree tour of the A70 inside. 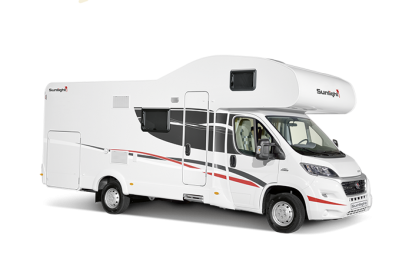 If you want any more information on our Motorhomes, please call 0117 9372644. Or email info@motorhometravelagency.com. We can also go through where you’d like to go and what you’d like to see on your trip.